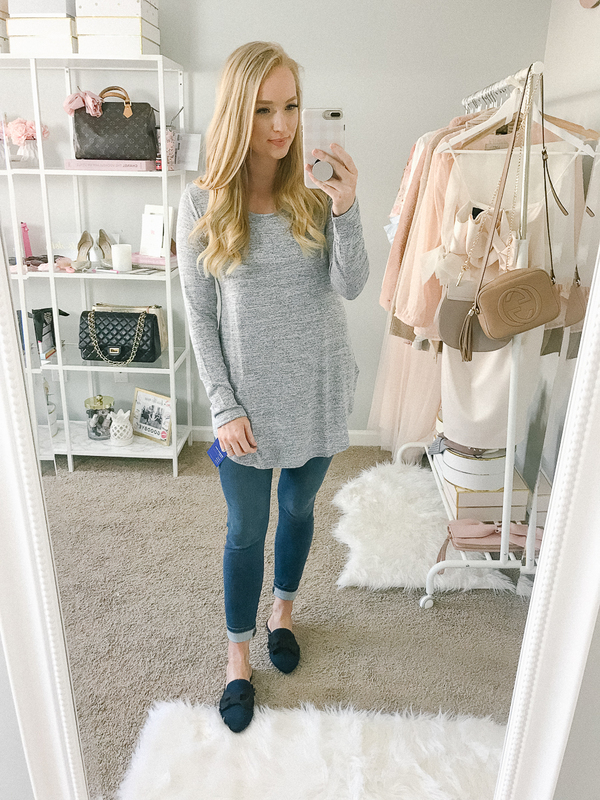 Sharing a try on haul from a new retailer on my channel… Kohls! I actually don’t shop there very often, but when I do I usually buy everything from the LC Lauren Conrad collection. I love her feminine style and attention to detail. 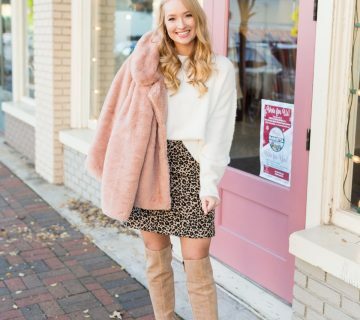 I found the cutest new bow detailed shoes and styled early Spring looks to help transition your wardrobe from Winter to Spring. This top runs TTS but I would need to size up to wear it off the shoulder. I don’t love off the shoulder tops that are designed this way, because if you move your arms at all they will pop back up to your collarbone. I’m wearing the same jeans throughout this post so I will just review them here. These jeggings are very soft and comfortable. In comparison to the Old Navy jeggings I share all the time, they are less sculpting in the legs and a little less high-rise. I don’t love them with a front tuck because the waistband is stretchier. 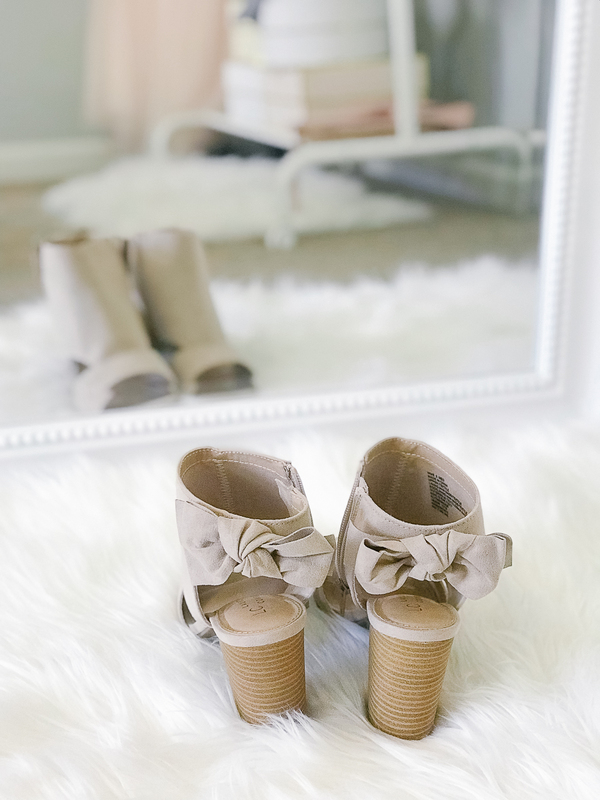 But they would be a great pair to wear if you want to be comfortable but still dress cute. I’m wearing my normal size 6 and they run TTS. These booties run TTS and are a great shoe to transition into Spring. Sticking with an open toe bootie with cutouts will give your feet coverage but still let you show off that pedicure you neglected all Winter. This sweater is so cozy, no stitch of itchiness whatsoever! It runs TTS and comes in 4 colors: pink, gray, maroon, and white. 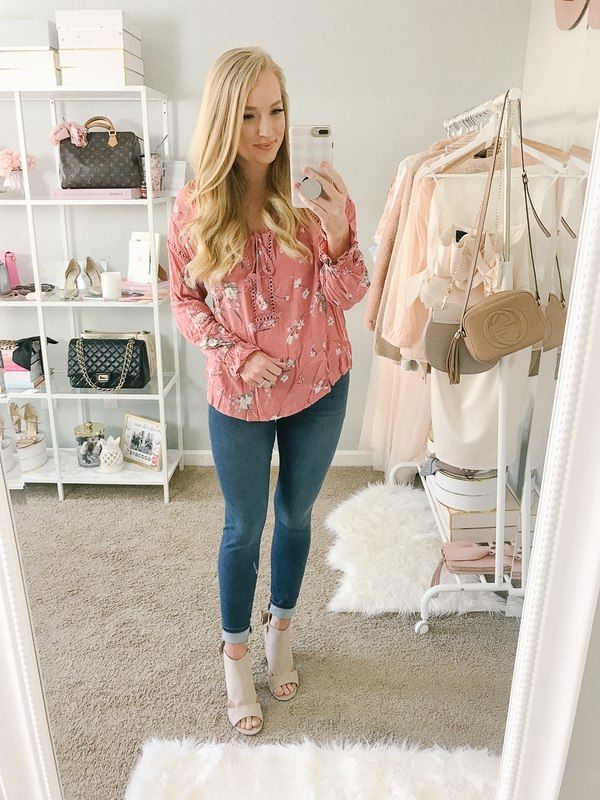 This top feels cheaper than my favorite similar tops from LOFT, but it’s a great look for less option and comes in more colors! I’m wearing a small and it runs TTS. The sleeves and shoulders have smocking, and I like that it comes with a bright white lining. I purchased these mules for an upcoming wedding in March. The material is sateen, so it requires a little more care when wearing them and is not an everyday shoe. But they are under $15! They felt snug on my foot so I would recommend sizing up a half-size. My Mom gifted me this top for Christmas and it inspired this whole haul! 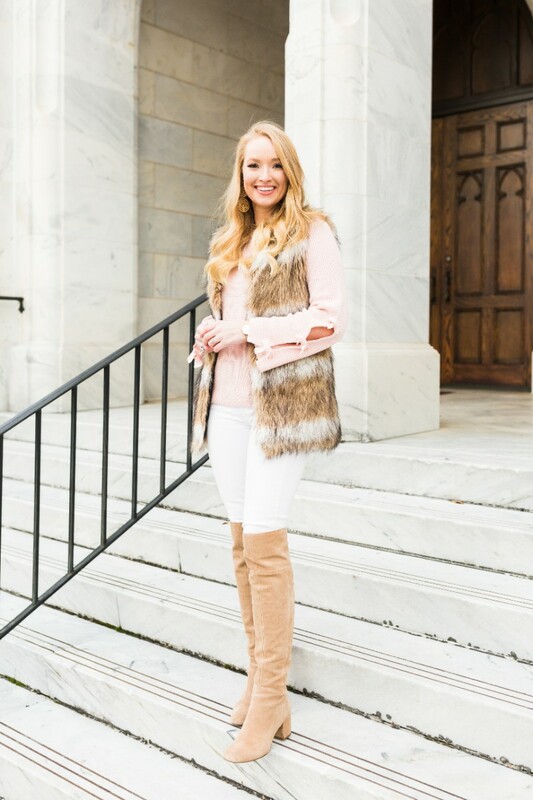 I love the fun sleeves and a neutral grey plaid pattern. It runs TTS and I’m wearing a small. 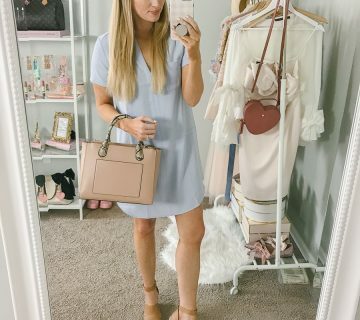 This little bag is such a cute addition to my February wardrobe! It surprisingly holds a little more than I expected. This sweatshirt isn’t my favorite because the sleeves will be annoying. 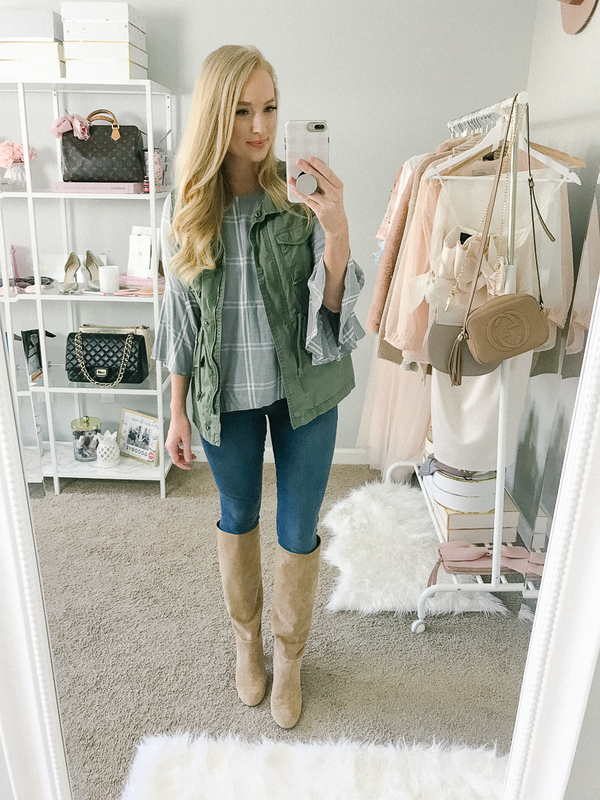 I originally wanted to style it with a striped basic top underneath to pull in some texture under the ruffle sleeves, however, it was too see-through and the stripes didn’t look good through the shirt. I’m wearing a small. This style of top isn’t my favorite because the sleeves stop really high on the shoulders, and I don’t love the emphasis on my arms. But I wanted to try it under a cardigan and I do love the pretty print. I’m wearing a small, it runs TTS, and comes in a lot of prints. Love the little bow detail on the sleeves. 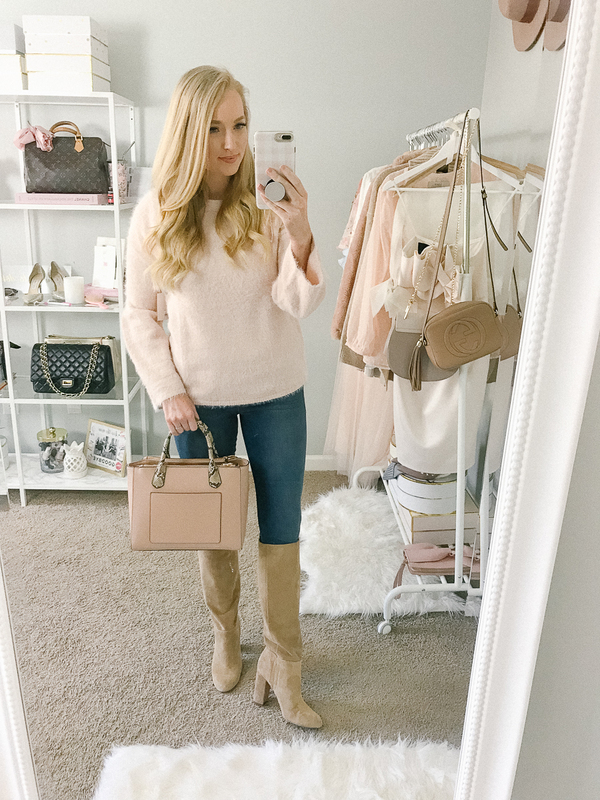 This is a great sweater to wear early spring because it’s not too warm and the sleeves breath a little if it warms up during the afternoon. I’m wearing a small and it comes in three colors. Get full outfit details here. This is a very long tunic style top that would be great to pair with leggings year round. Runs TTS. I intended to style it with leather leggings, but wanted to keep it with jeans to show off the navy and black bow mule slides. 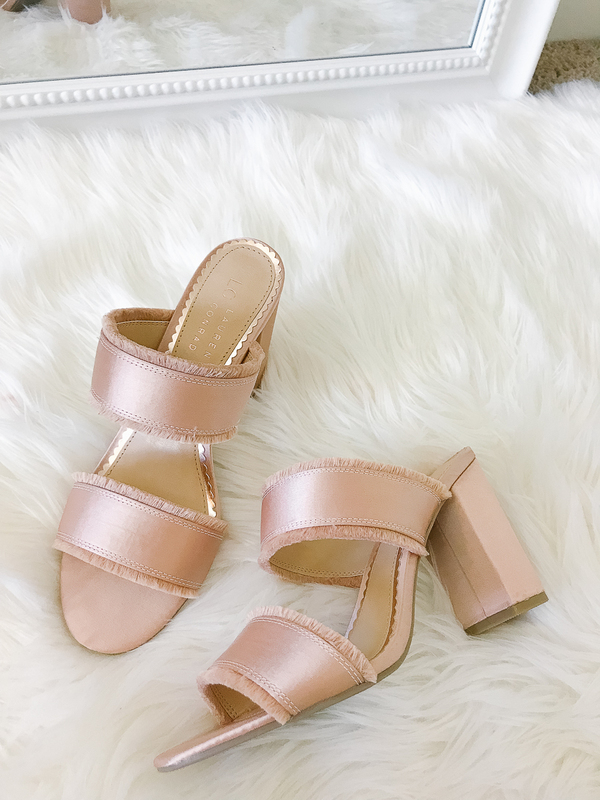 I love mules because I never have to worry about blisters when wearing them. 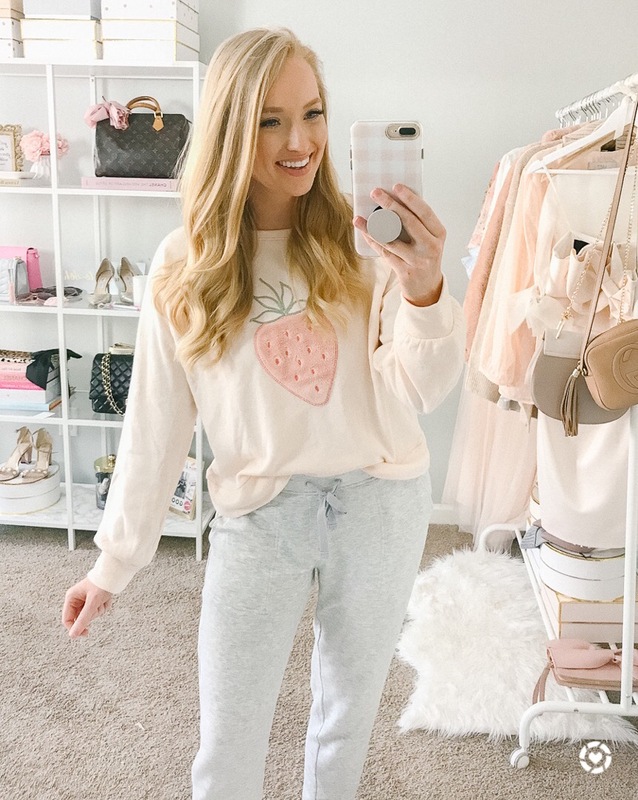 If you’ve been watching my IG stories lately you’ve definitely seen this strawberry sweatshirt. I had to have it for obvious reasons! It’s a lightweight sweatshirt that I will definitely wear into spring. I’m wearing a medium. It has a shorter length and is a little boxy, but I love it! I’m wearing it with my favorite lounge pants (wearing a small). They are worth every penny.